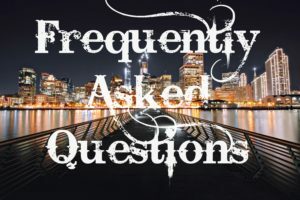 At ArrayBSA, we have put together a list of frequently asked business-buying questions and their corresponding answers, to get you started. How do I get started with the process of finding a business? At ArrayBSA, we offer a free consultation that allows you to share with us your interests such as geographical preference, type of business, industry groups, cash flow, required down payment, financing options, etc. You will be asked to sign a confidentiality agreement that will allow you to search the databases of our and other cooperating brokers for up to one year. There is no obligation or cost. Can I talk with the owner(s) of the business prior to making an offer? We encourage a lively dialog between the business owner and the buyer. Due to issues of confidentiality however, we require that any discussions with owners, management, suppliers, etc. be done with our coordination. This process is critical to understanding the business in depth, but must be handled with delicacy. How much money will I need to buy a business? Typically, each business requires a different level of investment. As a general rule, a down payment of 15% or more of the total selling price is required. If the seller is willing to hold a note, this 15% requirement will usually be higher. Do I have to pledge my home as collateral in the acquisition of a business? This answer to this question can vary depending on many elements. If you apply for a loan with an SBA (Small Business Administration) guaranty, you will not typically have to pledge your home if your home equity is less than 25% of market value. The business assets are usually sufficient to collateralize the loan. Will I be allowed to review the financial records of the business? Yes! We believe that a buyer can only make an informed judgment as to his/her potential interest in a business if they are in possession of all the relevant facts. At ArrayBSA, you can get any information you need after executing a confidentiality agreement. Of course, this information can only be shared with certain professionals like your attorney and accountant. How complicated is making an offer to buy a business? Inspection of financial records to your complete satisfaction. Obtaining financing at a term and rate that is satisfactory to you. Obtaining a lease that is satisfactory. Inspection of all the assets of the business to be acquired. Obtaining all licenses and permits required to operate the business. Do I have to pay a fee to ArrayBSA? Generally our fees are paid by the selling business. Our business search services to you are totally free. We do offer our services to buyers as buyer agents if you prefer to have us represent your interests. Buyer agency is by contractual arrangement with you. We can do as much or as little as you desire and under these arrangements.We are usually paid an hourly fee or a fee based on the selling price of the business upon your successful acquisition. How is a business acquisition financed? ArrayBSA’s associates are experts in the appraisal, sale and financing of small businesses. We know which lenders, both local and national, are most aggressive at any given time. Many times, the seller will offer to finance the deal. This generally suggests that the seller is comfortable with you and their business to carry this risk themselves. Conventional outside financing through banks and major small business lenders is typically available in over 90% of the businesses we represent. One of the benefits of conventional financing is that the term of the loan can be up to 10 years. Many buyers also like the fact that a lender won’t do the loan unless the business passes underwriting standards. This is like having a second set of eyes weighing the business opportunity prior to your purchase. Business underwriting refers to several different procedures depending on where and what business is being conducted. If a person goes to a bank or a private lender, underwriting refers to the detailed credit analysis and risk assessment performed before granting a loan. The credit analysis would be conducted based on the borrower’s credit information including variables like salary, employment history, financial statements, credit history, lender evaluations, etc. What are questions that need to be asked of the seller? We’ve been around the block a few times, there isn’t a business buying question we cannot answer for you.